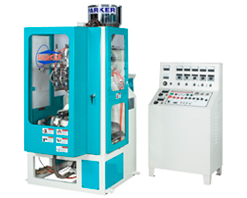 Offers two functions in a single machine by simply changing the mold from single to double cavity mold. 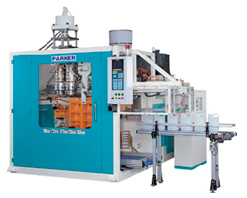 Chiller circulated hydraulic controlled blow-pin. 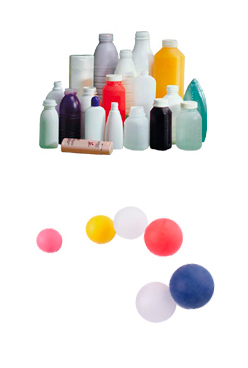 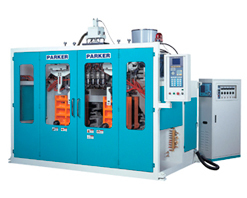 When requiring both function in a single machine, purchase the machine for PVC application and order the additional parts for conversion to PE application. 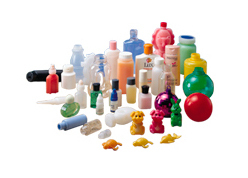 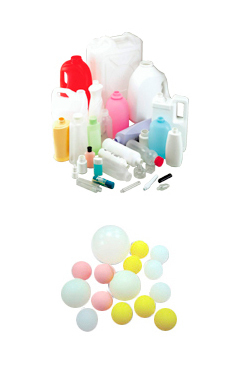 The economical, efficient models are excellent for producing small containers.